The heat wave continued though out the whole of July and the global debate sparked off by proposed legislation in the Euro zone and US in June kept heating up too. Electronic cigarettes seem to be a hot topic at the moment with all the big news networks picking up the commentary. From supportive to critical to darn right slander, there is no shortage of news and opinion on electronic cigarettes and their place in society. A medical trial conducted in July concluded electronic cigarettes where effective in helping people quit smoking or reduce smoking rates. The study published in Plos One was conducted at the University of Catania in Italy by Pasquale Caponnetto and colleagues. We heard last month that all the big tobacco players where now invested into e-cigs. British American Tobacco launched their new product, the “Vype”. 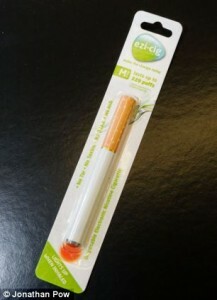 A disposable electronic cigarette that will be available in shops by September. Some worried it could lead to boosting the company’s profits with tax payers money if the NHS where to begin prescribing electronic cigarettes to smokers to help them quit. We all know one of the benefits of electronic cigarettes over tobacco is the low cost of use. But how about an electronic cigarette for £1? The bargain basement e-cigarette is set for release and will be stock in pound stores around the UK. Could this cheap disposable be any good? Or will it be true that you get what you pay for? There was outrage and dismay at statements from an WHO official this month. Dr Florante Trinidad, technical officer at “Tobacco-Free Initiative” suggested e-cigarettes where more dangerous than smoking tobacco. He stated because electronic cigarettes have no filter the nicotine goes into the lungs. A strong critique of his comments was made by Dr Konstantinos Farsalinos who pointed out the errors in his rational and general inconsistencies in his opinion. London MEP Marina Yannakoudakis made her views known by stating electronic cigarettes should be readily available to smokers. She states the danger from tobacco smoking justifies supporting electronic cigarettes as consumers are using them to reduce harm from smoking tobacco. Lynn Kozlowski, Ph.D. Dean of the School of Public Health and Health Professions at the University of Buffalo featured in the Huffington Post this month. His article encourage all smokers to switch to electronic cigarettes and the FDA to use light regulation to allow e-cigarettes to remain attractive and competitive to tobacco products. Kozlowski is well known for his research into tobacco and harm reduction. In the 1980’s he promoted smokeless tobacco as an alternative to cigarettes and argued little evidence of it being a gateway to smoking. He argues cigarette smokers have a fundamental human right to accurate information regarding safer forms of nicotine and tobacco use. 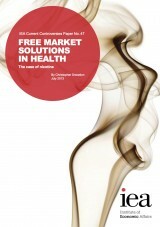 Perhaps my favourite and informative blog on electronic cigarette policy has to be Clive Bate’s Counterfactual. Former director of Action on Smoking and Health (ASH-UK), he is very active in the campaign for a honest and reasonable debate about the future of electronic cigarette regulation.This month he had several great posts. A fantastic out reach to the Malaysian government in offering advice on how to deal with electronic cigarettes. A critque of the case for regulating e-cigs as medicines. A great summary of some repsicable people making resoaned comments of electronic cigarettes. A discussion on how cosmetic regulation could provide a model for e-cig regulation. The Telegraph: EU vote on electronic cigarettes ‘makes no sense’. Smokeless electronic cigarettes risk being taken off the market by a “short-sighted” vote in the European Parliament that will classify them as a medicinal product, critics said. BBC E-cigarettes: Is a smoking alternative being choked by regulation? In Rome electronic cigarette makers and sellers went on hunger strike to protest a massive 58.5% tax levied on e-cigs. Management Today: The EU wants to stub e-cigarette businesses out. Last week we posted a guide on how to blow smoke rings with an electronic cigarette. This guy puts most of us to shame with some serious skills! Thanks Clive, I always look forward to your articles.